IMPORTANT: In that email is a link to confirm your subscription to join our mailing list and receive the free ebook (it mentions GetResponse – our email service provider). Please click on the link to confirm your interest. You may need to check your junk/spam or promo folders (especially for Hotmail and Gmail addresses). 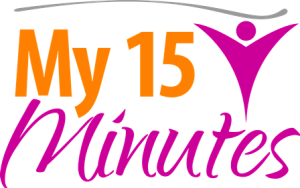 Be sure to mark our support@my15minutes.com.au as a “safe sender” to ensure all of our emails get through to you :-). If you do not receive the confirmation email or the download email, please contact us at support@my15minutes.com.au and we will send a copy to you and work out the ‘glitch’. Thank you!